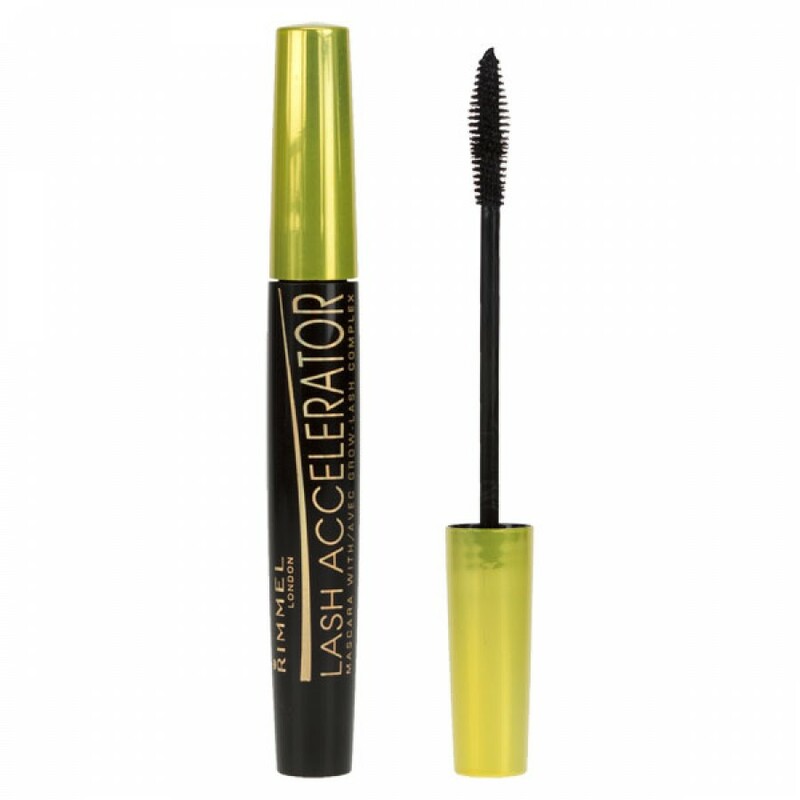 DURABILITY: Lashcode is an excellent long-lasting mascara. It is not waterproof and yet it is suitable for all weather conditions: it does not crumble, it has excellent pigmentation, which it owes to magnetite – a mineral dye of top-quality. Lashcode mascara also contains a number of ingredients that nourish and regenerate eyelashes. BRUSH: Elastometric, with the right size and ideal shape: a spiral tapering at the ends makes coating eyelashes a pure pleasure. The brush does not require any manual skills, does not stain the eyelids, it combs, lengthens, and thickens the eyelashes by curling them: lashes are lifted, perfectly separated and impress with the multi-lashes effect. 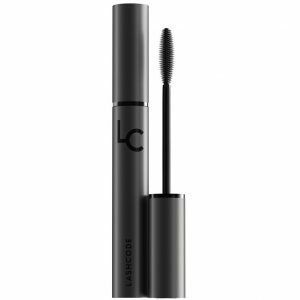 APPLICATION: Lashcode mascara spreads very well on the lashes, does not stick them or create clumps even after applying several layers. Powdered consistency makes lashes look great in any light, and the right shape of the wand allows you to efficiently capture even the smallest, delicate and thinnest eyelashes in the corners of the eyes. It visually thickens the lashline and provides stunning makeup. EFFECTS: Lashcode mascara allows you to achieve a variety of great makeup looks, depending on how many layers of mascara is put on. This mascara is suitable to create a subtle look, daily makeup, romantic look or a slightly stronger, bolder effect as well as the extreme yet precise, voluminous and definitely – impressive results. MASCARA REMOVAL: Makeup removal is a quick and trouble-free procedure. Lashcode mascara is smoothly and gently removed using any micellar water or oil. It does not require vigorous rubbing of the eyelid and as a result, it does not cause mechanical weakening or lash loss. 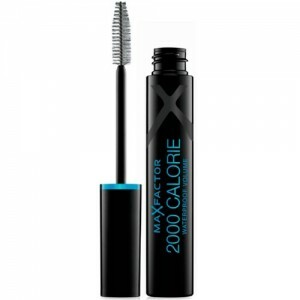 DURABILITY: This mascara is an extremely durable cosmetic. It neither leaves smudges nor flakes on the face. Another advantage of the product is that, it does not stain eyelids at any degree. Due to these features, eye makeup holds throughout a long and hard day of work. 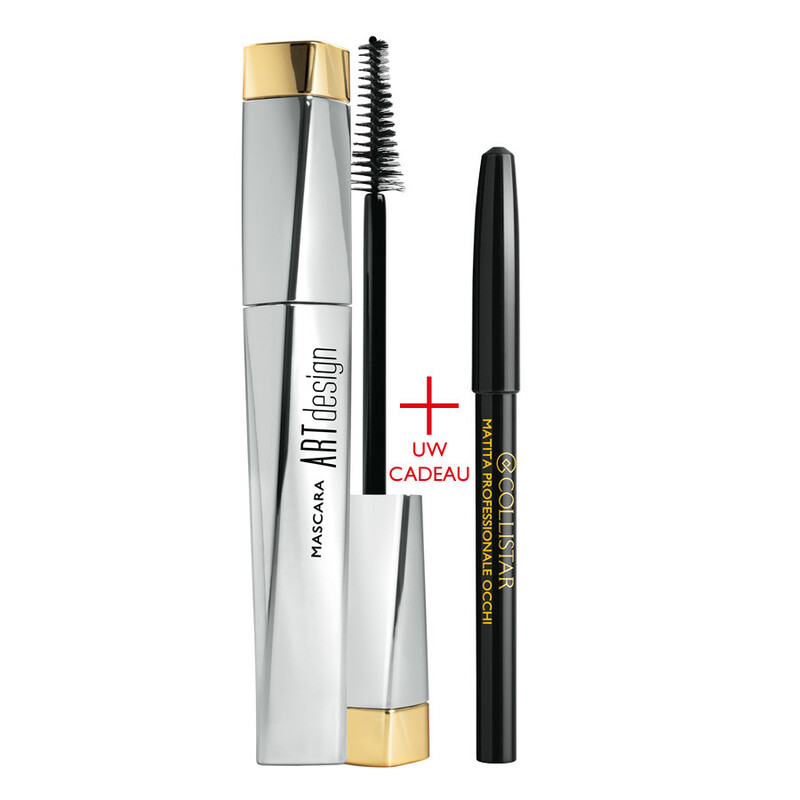 Moreover, the mascara maintains its properties even if worn at high temperatures. However, do not confuse these characteristics with waterproofness. BRUSH: Bristle of the brush is arranged in a triangular shape. To clarify, the tip of the brush is occupied with shorter bristle that gradually becomes longer as reaches the bottom of the applicator. Despite the interesting design, the process of mascaraing the eyelashes located in corners of the eyes, requires quite a precision. 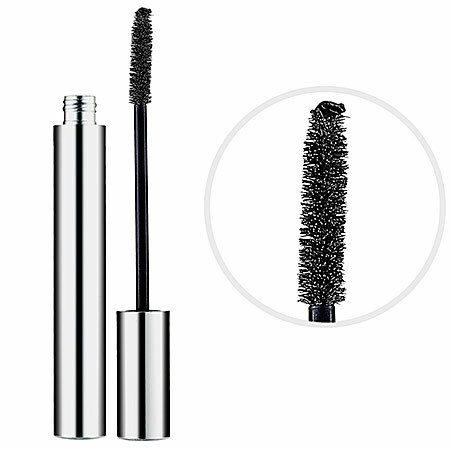 APPLICATION: Long bristle eases mascara application and the set out of these enables coating each lash precisely. As a consequence, lashes are separated and nicely fanned-out along the eyelid. During the application, it is necessary to manoeuvre the brush in order to reach every single hair of eyelids’. Another advantage of the mascara, conical shape helps with covering lower eyelid lashes with, so-called, vertical method. EFFECTS: What are the outcomes brought by Collistar Mascara Art Design? Certainly, eyelashes covered with the cosmetic are perfectly separated and turned into being pitch-black. Unfortunately, the mascara neither increases the volume nor curls lashes. For that reason, the product can be recommended to people having long, thick and slightly lifted but fair lashes. MASCARA REMOVAL: How to cleanse the mascara from the lashes? All you need is a cotton pad soaked with either a micellar or regular lotion. Press the cotton pad towards your eye and wait until the makeup relocates itself from lashes into the pad. If the cosmetic is waterproof, you have to use a cleansing product of stronger properties. 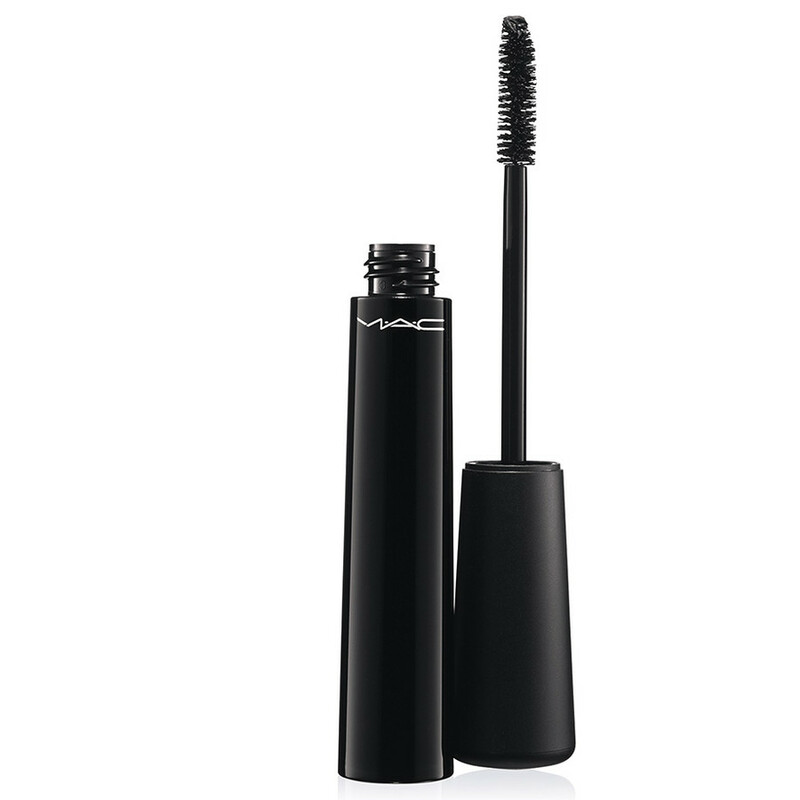 DURABILITY: MAC Mineralize Multi-Effect Lash mascara does not stick eyelashes together and holds long on these, however, at the end of the day, one can notice small mascara flakes on the cheeks. Additionally, one can experience dark marks around eyes, also known as panda eye effect. Fortunately, all concealers, makeup foundations and powders help with eliminating this unwanted stains from the face easily. BRUSH: The brush is composed of densely arranged bristle that, on one hand, lengthens and volumes lashes but, on the other hand, such set of bristle leads to overloading mascara applicator with the cosmetic. To avoid putting on the lashes too dense layers of the product, you can wipe the brush over the edge of the mascara’s bottle, and the makeup performance will become less troublesome. Remember, while doing so, you waste some part of the cosmetic and the dried-our residues of the product may stick to the wand or get into the bottle. EFFECTS: Appropriately mascaraed eyelashes seem to be longer, curled and thicker. Sometimes, it happens that the mascara clings the lashes and creates clumps. For that reason, it is advisable to isolate lashes from each other with a special eyelash separating accessory and comb out the bad-looking clumps. MASCARA REMOVAL: This mascara can be removed with the aid of a cosmetic lotion. It is also suggested to use a dual-action lotion. The second cosmetic deals also with a waterproof version of the mascara. DURABILITY: The mascara is effective, which means, it does not flake. Nevertheless, at the end of the day or at high temperatures the cosmetic may be a little bit smudgy and stain around eyes area. What is more, the mascara dries out fast which is fairly favourable feature when one wants to apply several layers of the cosmetic. BRUSH: The applicator is very short and it is difficult to use it properly. The application has to be repeated several times. The huge amount of the mascara accumulates among the sparsely arranged bristle. If we do not comb the lashes thoroughly, we achieve fly’s legs effect. On the other hand, considerable advantage of the small-sized brush is its ability to coat even hard-to-reach lashes. APPLICATION: Despite the small brush, the mascara is easy to apply (if we manage to gather scant amount of the cosmetic.) You can apply several layers of the product and your lashes remain separated and elegant. Basically, during eye makeup performance, you can take advantage of one technique used by make-up artists – the zigzag motion. 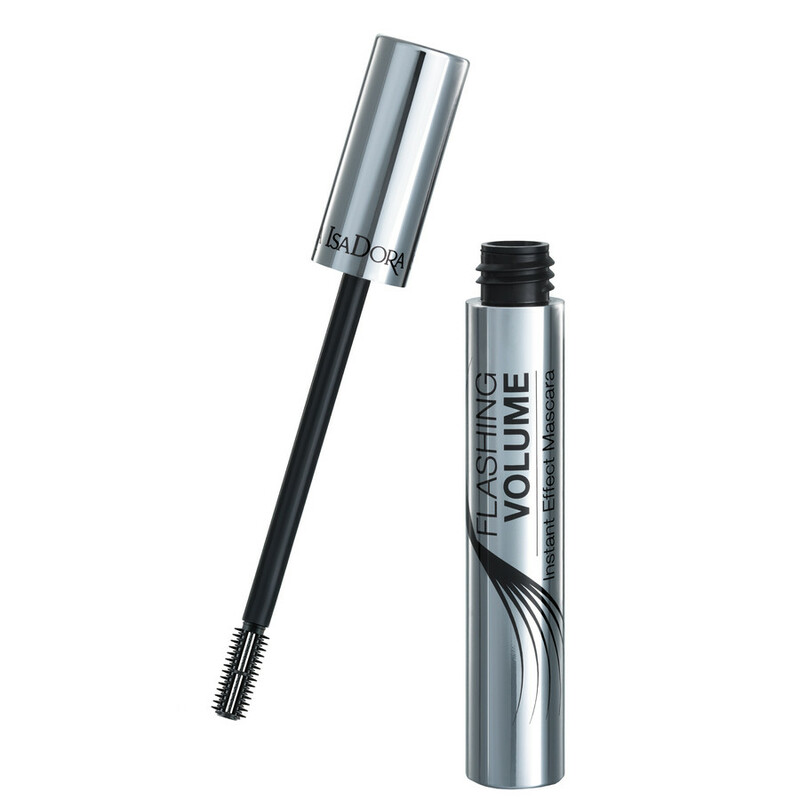 EFFECTS: Isadora Flashing Volume Mascara thicknesses and makes the lashes slightly curled. What is more, it dyes the eyelid’s hair with intensive black colour. The product is available only in one shade. The black mascara will do wonders equally for women having pale complexion and blonde hair as well as for brunettes. MASCARA REMOVAL: To cleanse your lashes from the mascara, suffice to use a regular cosmetic lotion. Basically, the mascara is removed without any problems. Reach for a cotton pad soaked with the lotion and press it towards the eye. After a while, the mascara should vanish from the eyelashes. Repeat the action until the cotton pad is clean. DURABILITY: This cosmetic is the long-lasting one, however, at the end of the day it may flake a little bit. In that case, take a damp tissue and gently collect the flakes of mascara from underneath the eyes. Then, powder the face. In general, we can avoid mascara flaking if applied only one layer of it. BRUSH: The mascara provides an ordinary brush with short and densely arranged bristle. Unfortunately, this kind of applicators gather galore amounts of the cosmetic. All you have to do then, is to wipe the excess of the mascara with a tissue or other brush. After that, our eyelashes will be nicely covered and separated. APPLICATION: Mascara dyes out quickly which eases the application significantly. The applicator has to be moved from the roots upwards to the very tips of eyelashes’. When the lashes are coated with the product, place the brush vertically and bring out only the tips of eyelids’ hair, making these a little bit lifted up. Thing worth mentioning, the tip of the brush cannot be covered with great amount of the product. Repeat the procedure on the lower eyelashes as well. EFFECTS: Definitely, Max Factor 2000 Calorie Mascara thickens lashes due to Polymers included into mascara’s composition. Nevertheless, the more layers of the cosmetic’s applied, the greater possibility of clumped lashes. Additionally, the mascara is available in three shades, has hypoallergenic features, and can be safely used by contract lenses wearers. MASCARA REMOVAL: The mascara can be removed with the aid of a lotion or a cosmetic mist. In order to remove the colourfoul versions of the product, it is suggested to use a dual-action lotion. Basically, the dual-action cosmetic would be also useful if one coated their lashes with thick layers of the mascara. DURABILITY: Clinique Naturally Glossy Mascara neither flakes nor leaves stains on eyelids. What is more, it also does not stick eyelashes together and does not create clumps. If one would like to prolong the durability of the product, put on an eyelash primer first. BRUSH: It comprises of short and densely placed bristle. Moreover, the applicator is slender enough to reach even the tiniest eyelashes growing in corners of the eyes. By gathering the minimal amount of the product, we separate and shape lashes. APPLICATION: The brush has to be placed parallel to eyelids to coat lashes from their roots up to the tips. The first layer of the cosmetic provides natural and delicate effect, therefore, one can freely reapply the mascara if necessary. Important to realize, before applying another layers of the cosmetic, it is advisable to let the previous coats dry out. 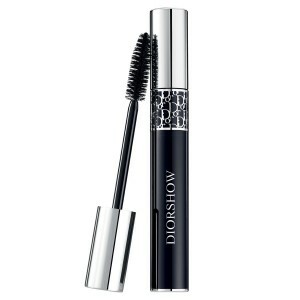 EFFECTS: The mascara gives natural and delicate effect. Women preferring heavy eyelash emphasising, have to apply several layers of the mascara. The cosmetic lengthens the lashes and makes these more pliant and predisposed to stylizing. 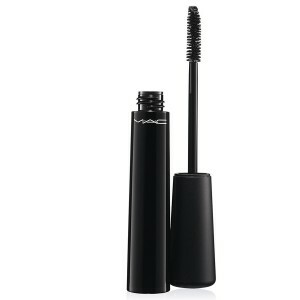 The mascara is available in black and brown colour. MASCARA REMOVAL: The mascara is not waterproof so there is no need in using dual-action lotions. For that reason, you can use a regular micellar or a cosmetic lotion. You can as well use makeup-removing tissues or a face cleaning gel. 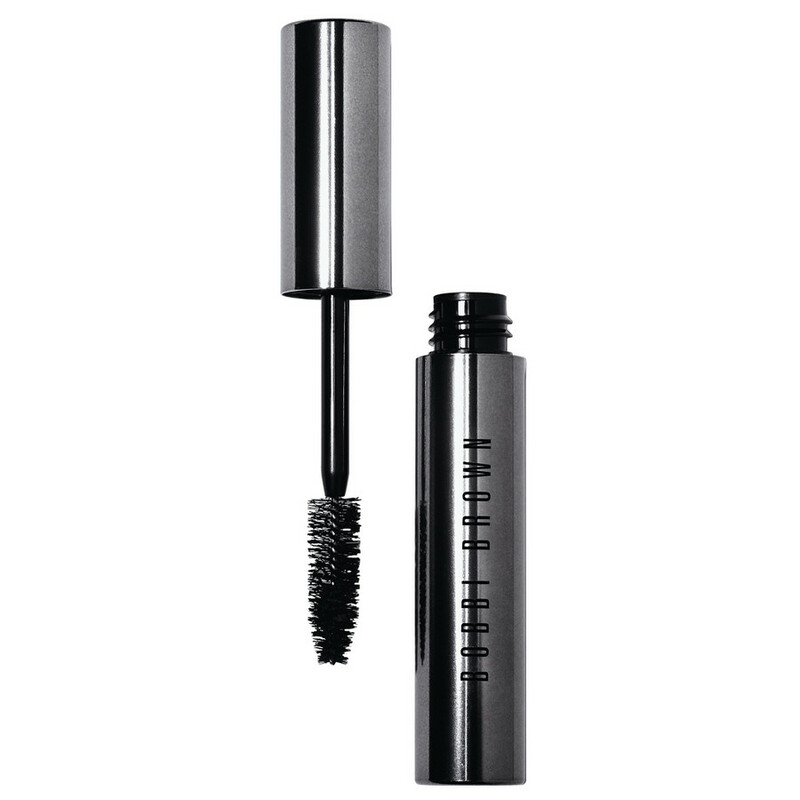 DURABILITY: No stains and flecks are noticeable when Bobbi Brown Party Mascara worn. Unfortunately, people having dropping eyelids may encounter a problem with application. The brush is short, therefore, it is fairly probable to leave some stains in the outer corners of the eyes. After two or three months since the opening, the content of the bottle dries out. As a consequence, try to consume the mascara as soon as possible. BRUSH: It is designed of short and equal bristle. Its shape is not adjusted to cover all lashes at once, therefore, it is necessary to reapply the mascara a few times. On the other hand, the tapered applicator enables coating the lashes that are hard to reach. EFFECTS: After applying a single coat of the mascara, eyelashes become longer, curled and darkened. The brush separates lashes, giving these at the same time natural look. Regrettably, when additional layers applied, lashes become gradually clumped together. 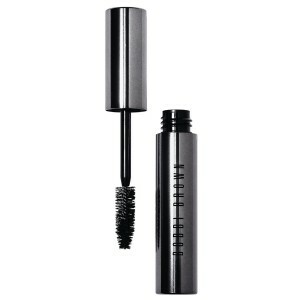 MASCARA REMOVAL: Bobbi Brown Party Mascara is removed without difficulties. We can do it with either makeup-removing tissues or a micellar lotion. Certainly, the more layers of mascara applied, the longer it takes to remove the product. DURABILITY: It can be stated that Guerlain mascara is durable. It does not stick lashes together and is flake-proof. Nevertheless, the cosmetic may stain eyelids at high temperatures since it contains oily substances responsible for making the product a little bit watery. BRUSH: The brush is composed of short and densely arranged bristle, placed at an angle. The bristle grabs single lashes, separating these and removing the excess of sebum. If the brush is moved unskillfully, eyelashes may curve awkwardly. APPLICATION: Dense bristle covers lashes evenly. The tip of the brush is adjusted to cover tips of upper lashes and lower eyelashes all along their length. While coating left eye, hold the applicator in the right hand and while coating right eye, hold the wand in the left hand. EFFECTS: The mascara is able to curl the lashes nicely, lengthens it delicately and makes these ticker. One receives makeup – no makeup effect if applies a single coating. 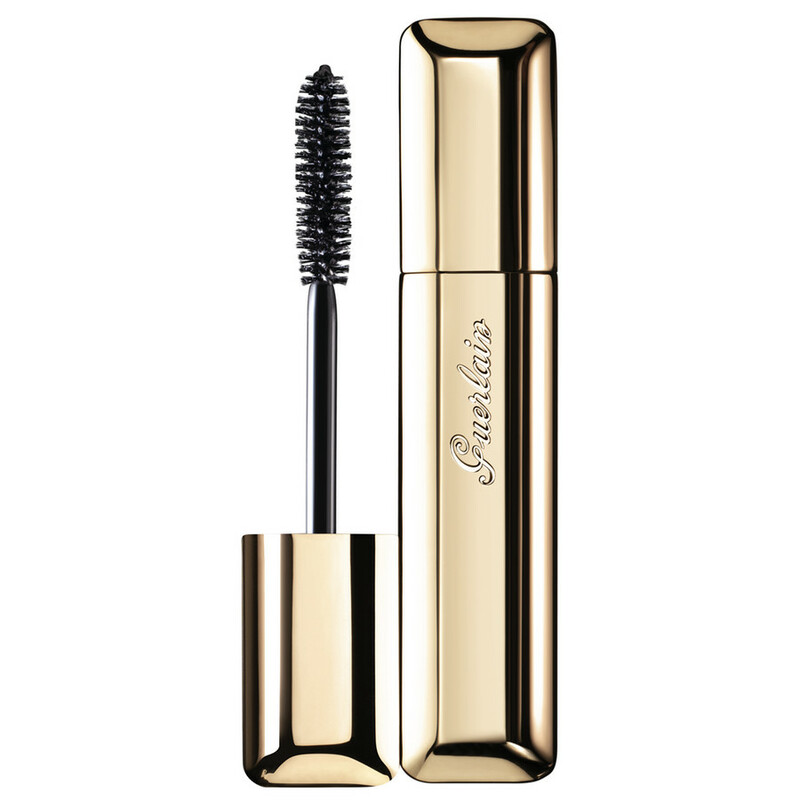 Additionally, Guerlain Cils D’enfer contains caring properties. MASCARA REMOVAL: If it is not the waterproof version of the cosmetic, you can cleanse it with any ordinary cosmetic lotion. Both, black and violet mascara can be removed with the same products. A dual-action lotion usage is not necessary. DURABILITY: It is a long-lasting cosmetic, it does not stain the eyelids, does not flake and stays on eyelashes even if rubbed. On the other hand, the more layers of the product applied, the less durable it becomes. What is more, the mascara may stick lashes together and leave clumps on these. BRUSH: Regardless the mascara type, the brushes have extremely dense bristle. There are wands that are able to curl, lengthen or separate lashes. Moreover, shape of the brush is connected with the properties of mascara’s, for example, curved and adjusted to the eyelid, straight with smaller or bigger spaces between bristle. APPLICATION: It depends on the brush’s shape. Generally, application does not cause bigger problems. The brush reaches all lashes, even the one being hard to reach. Certainly, one should place the brush on eyelash base and mascara these evenly. EFFECTS: Determined by the type of Diorshow Mascara, the product either curls or lengthens lashes. Unfortunately, it may stick lashes together and leave clumps. Natural effect can be achieved by applying a single layer of the mascara and separating the lashes using an eyelash comb or clean wand of other mascara. MASCARA REMOVAL: Waterproof mascaras have to be removed with a dual-action lotion, whereas, the regular cosmetics can be removed with a typical makeup removing product. When it comes to the colour versions of the mascara, these can be removed with any of the above-mentioned products. 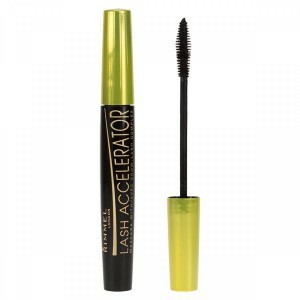 DURABILITY: Mascara Rimmel Lash Accelerator tends to fleck and leaves stains on eyelids fairly quickly. When applied, one has to wait long to let the mascara dry out on lashes. For that reason, it is not advisable to apply several layers of the cosmetic. BRUSH: It gets narrower on tip of the wand, due to which, it is easy to manoeuvre it in order to coat the tiny lashes located in the inner corners of the eyelids. The bristle is not densely arranged, which is why, the brush separates lashes decently. Before application, one can remove the excess of the mascara gathered on the wand by rubbing it against other, clean mascara wand. APPLICATION: It is not troublesome, however, it is preferable to have an experience in mascaraing eyes with similar type of brush provided by Rimmel. As mentioned before, due to the wide spacing between bristle, it is easier to get lashes separated. On the other hand, the gaps facilitate gathering too much of the product on the mascara wand. EFFECTS: Mascara lengthens, curls and provides natural effect if one layer of the product applied. In a case, one put more layers of the cosmetic, they may expect clumps. Obviously, the makeup may be improved by combing lashes with a special accessory. MASCARA REMOVAL: A black version of the cosmetic can be removed with an ordinary makeup removing lotion, but when it comes to the colour ones, it is suggested to use dual-action liquids. In both cases, it is enough just to press a cotton pad, with a cosmetic, towards the eye and push it a little bit. As several seconds pass, the mascara is expected to be removed.